Women Development Advocacy Center has been involved in various social activities relating from providing empowerment for an individual to the development of Nepalese community as a whole. WDAC's vision is to “connect” with people at the ground level to understand their needs and problems, “inspire” them to grow in life and “empower” them with their various knowledge based interventions. And it has been applying that workflow in its fellowship programs and campaigns. Social Entrepreneurship, Soft Skills Development, Livelihood and Humanitarian are some of those programs. The new Post Graduate Diploma Program in Disaster and Livelihood Recovery is no exception. The organization hopes to inspire young minds to participate in the program for better of the society. The main idea of this program is to equip young graduates with skills to separate competent ones from just adequate ones. They plan to train youths specially from disaster hit communities who were involved in post earthquake recovery programs. 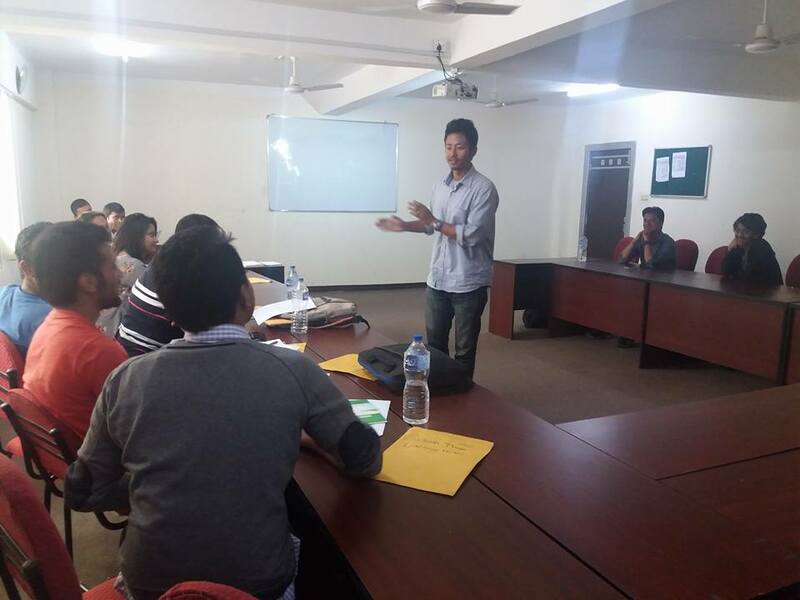 WDAC had organized an orientation program on may 29th to prepare them for this program. Mr. Nanda Kishor Mandal , the president of WDAC, started the program with brief introduction. They also had the chief guest for this session, Mr. Narottam Aryal , principal of King's College, a proud partner for the program. He gave his warm wishes to all the students before they head off for the course. 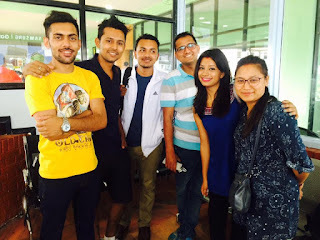 "To work as a WDAC's proud partner and see Nepalese student embark on international journey for welfare of our country, It's all been a great pleasure" - says Mr, Narottam. Students shared their confusion and curiosities with a fellow TISS student, Mr Roman Boro . Mr. Boro shared his memories and experience of TISS wih the participants. Guest lecturers, Mr. Gaurav Kandel from View Your Choice, similarly was grateful to provide contextual knowledge regarding the course and his experience. The session got more interesting as all of the faculties started sharing their stories from TISS. The orientation session was successful completed. Mr. Nanda Kishor ended the season quoting " you guys are the first, so what you do in this year determines what the future holds for this program". 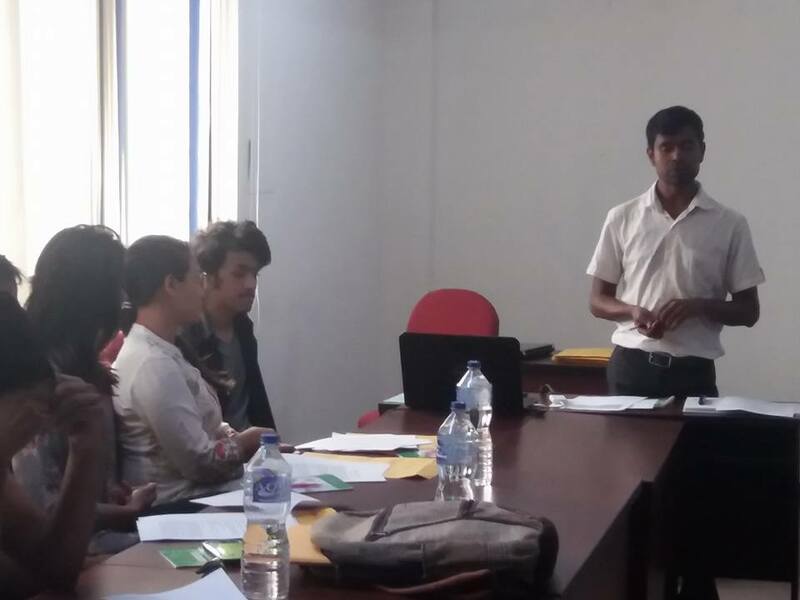 The selected participants for the fellowship has already started their course starting today. They left for the course, Friday on June 10. The program will be two months long and will include field study. They will study their subjects along with other fellow TISS students. Author - Bnay Shrestha music enthusiast and Bachelors of Business Administration student from King's college. Author - Prajwol Wagle football fanatic and Bachelor of Business Administration student from King's college.